Glancing Back to Last Autumn, "The Write Stuff, 2018"! Last October the Great Lakes Chapter of American Christian Fiction Writers (ACFW-GLC) enjoyed a terrific day of information and inspiration in Jackson, Michigan. What did attendees think of that day? Here are a few quotes! meeting with a time of singing and worship. "I came home from The Write Stuff one-day conference with a mountain-peak experience. The speakers touched my specific needs at this time. I was extra pleased to have a one-on-one conversation with an agent. He answered all my questions and gave excellent advice. I feel like it's final exam week with all the new tasks on my list, but I am ready for them, thanks to the teachings and encouragement at the conference. As an added bonus, I met with other great author friends and all in all, had a memorable time." "What an event! I learned so much about writing and publishing. Great speakers, wonderful fellow-ship, fantastic food, a terrific day. Thank you." "Terrific conference, well organized, time frames maintained, and there was time available to visit with friends in the group. I liked the teaching, encouraging us to think beyond your current project, to thinking about your story as a screenplay – after all, why not you? Great day and worth the drive." "I loved it. The time of year was perfect. I liked how much you and the team were able to pack into a one-day event and the myriad guest speakers were fantastic. So much learning and networking close to home and for a very reasonable cost." “It was a tremendous conference – so very, very glad I was able to attend. What a great group of writers we have in our state! “The only thing that bothered me: we travel so far and have so little time to talk one-on-one with the others present – especially other writers. 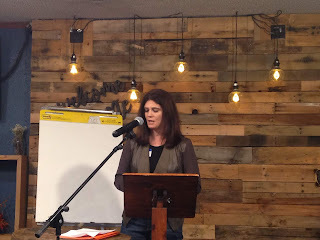 “It was so good to see new faces in the chapter – didn’t get to spend much time with most and got none with some – finding out where they live, what genre they write, which stage of this writing gig they’re at, etc. That was the only thing I feel was missing. Being Taken Seriously by Publishers." "It was a nice, laid-back event. 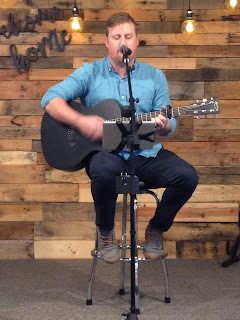 No pressure, just a good time with encouragement and teaching and sharing." Plus, an unscheduled bonus was the appearance of film director Joel Reisig (not pictured), who works actively with Melissa Kerley at Courage Generation. 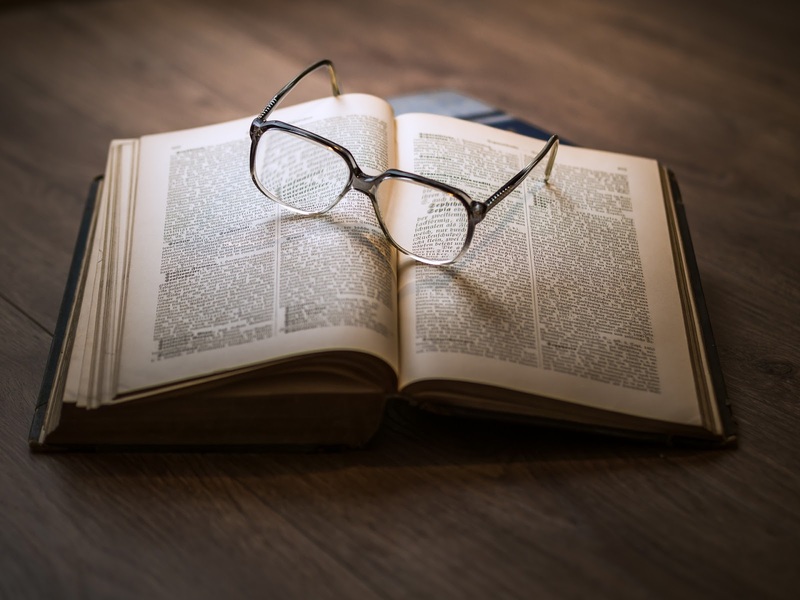 Joel discussed what he, as a director, looks for in a screenplay, emphasizing Do's and Don'ts for authors who would like their novels to be considered for adaptation to film. Look for more upcoming events for ACFW-Great Lakes Chapter in 2019! together to fellowship and sharpen their creative skills for the Lord! 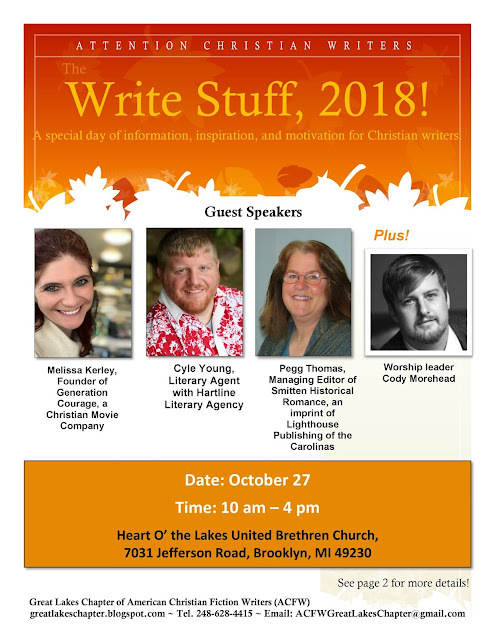 Join Us October 27 - "The Write Stuff 2018"! 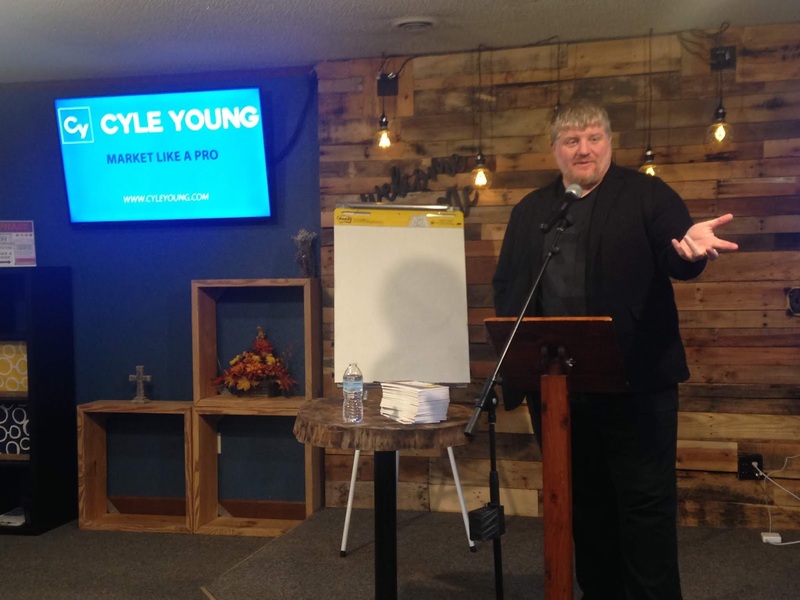 Christian writers! Join us in Jackson, Michigan, on October 27 for special day planned just for you! 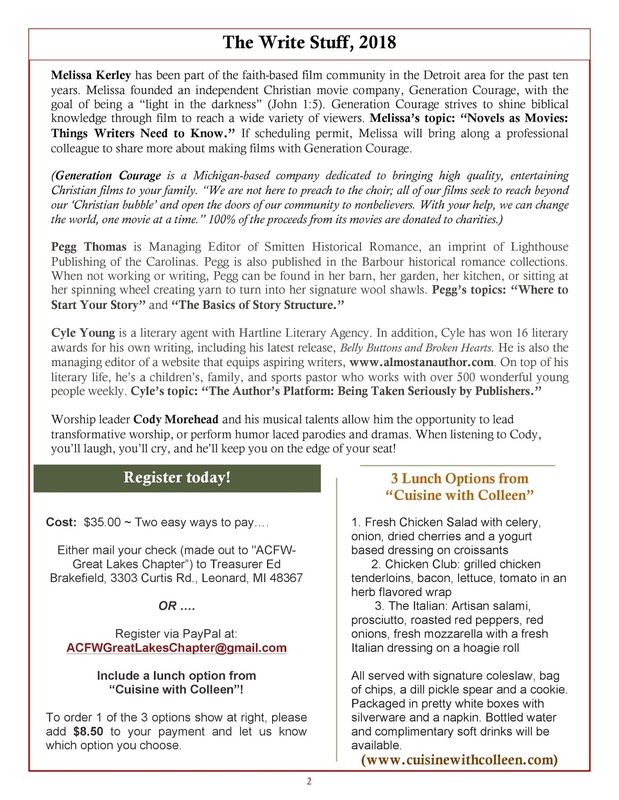 "Fireside Chat" for ACFW - Great Lakes Chapter! Our Great Lakes Chapter has just 10 percent of its members willing to participate and accept the challenge of growing, learning, and encouraging their fellow GLC members. My hope for GLC is to become a unit of caring, encouraging, and spiritual confidants for this glove of the United States. 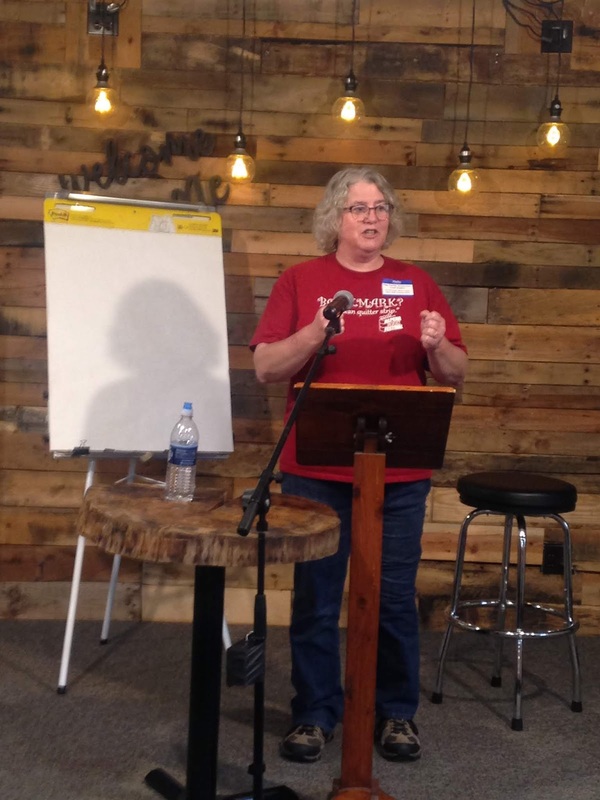 GLC members can be that hand from which Christ’s message flows throughout Michigan and spills into other states and into the world. There is a great mission field in the GLC for our Christian literature. We need to get the word of encouragement and inspiration out to a struggling society, most of which does not realize they are lost or needing a Savior! Through the 30 speeches Roosevelt gave in his fireside chats, people related to and felt the problems of a nation. Yes, the American people responded, feeling that bond and that handshake of friendship FDR offered. Well, we won’t be having 30 fireside chats. Just one, for now. Let’s get united in a common bond to see the GLC flourish like never before! Kathy Rouser has graciously invited us into her home from 2 to 4 p.m. on Saturday, January 27th, for our first fireside chat for this 2018 year (2117 Cobblestone Lane, Brighton, MI 48114). We will be having soup and salad. I’m bringing the dessert. (That’s my favorite part of every meal. I’ve heard Kathy makes some fantastic soup, so I just might be changing my preferences!) If you’d like to bring something, we are presently looking for someone who does a great salad. would like to see covered in the GLC for 2018. You don’t have a one sheet? You will after this Fireside Chat”! You don’t have a favorite reference book? You will after this “Fireside Chat”! Also, plans are in the works for a one-day conference in the Jackson area for either April or May; a weekend retreat (location undecided at this time); and a special GLC gathering at the ACFW Conference held in Tennessee. You have something to offer GLC! We look forward to seeing you on January 27th. Mark your writer calendar for Oct. 28! The Great Lakes Chapter of ACFW is pleased to announce a terrific event for Christian writers. But this isn't a mere luncheon! It's an afternoon called "The Write Stuff!" for all of you who enjoy food, fellowship, information, inspiration, and motivation for the writing side of your life. 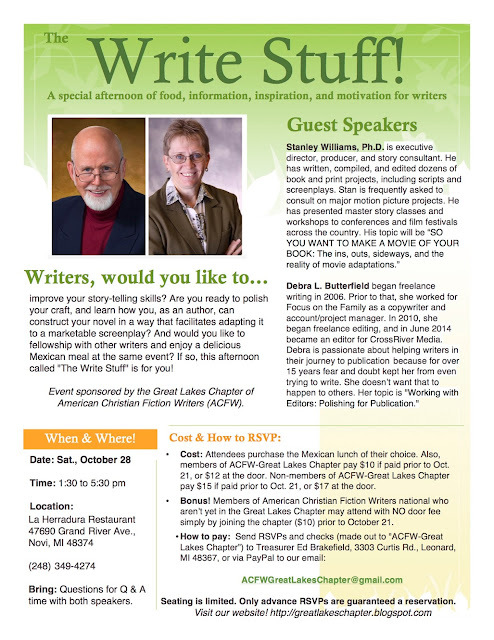 We've lined up TWO speakers who know their stuff and are ready to help you take your writing to the next level. To make the day a tasty treat, it will be held at La Herradura Mexican restaurant, and you will enjoy whichever lunch meal (and maybe dessert?) that you decide to purchase. Please see the flyer for details. Better yet, share this news with a writer friend and join us together! Questions, or ready to RSVP? Write us at ACFWGreatLakesChapter@gmail.com. Have you ever done something—or not done something you felt you might regret? When I first heard that our Great Lakes Chapter might close, I thought, “What a loss.” I learned so much from the chapter conferences and enjoyed meeting new writers. The camaraderie of sitting down at the breakfast table with our Great Lakes group during an ACFW Conference helped me gather up my courage for the day ahead. Throughout the Great Lakes Chapter years, many dedicated writers have worked hard in making this chapter a success. I understand that everyone is busy and there is hardly time in the day to accomplish what needs to be accomplished. Daniel sums this up better that I in 12:4 “…many shall run to and fro, and knowledge shall increase.” Writers, our time is short to make a difference in a reader’s life. The days, weeks, and months appear to fly by. Just where did 2016 go? Learning that this Great Lakes Chapter is the ONLY chapter representing Michigan caused me to ponder our options. Reinstating another chapter in the future would end the history of this chapter’s accomplishments. The dedication of those writers who have kept the torch burning and participated in a board of directors’ capacity would be lost. I am much to blame. I used the excuse for not volunteering on the board due to my busy lifestyle and because of my inexperience on social networking. I am not savvy on social media. I have just sent out my first Mailchimp e-mail last month! My blog posting is irregular; I have Skype but know little about how to us it and my author Facebook page often gets overridden by my public Facebook page! I don’t understand Twitter and I never heard of YouTube until CrossRiver introduced me to this. To end this diatribe, my husband and I have spoken to regional ACFW rep Michelle Lim, and Michelle and Ane Mulligan are willing to help us keep ACFW Great Lakes Chapter alive! Karin Beery and Pegg Thomas have been wonderful and extremely supportive! So let’s do something we shall never regret! Send your dues to the Great Lakes Paypal account for $11.00 or mail your check to Ed or Cathy Brakefield, 3303, Curtis Rd, Leonard, MI 48367 and please MAKE OUT YOUR CHECK TO: ACFW Great Lakes Chapter in the amount of $10.00. There will be a meeting at my house on February 25 or 26 (depending on the weather) for 2017 members. Address is above (6 miles NW of Oxford; 10 miles NE of Romeo, 12 miles N of Rochester ). Plan on brainstorming. Be prepared to give a one liner about your latest book. There will be a photo opt. I need pictures to put on Great Lakes’ facebook page and also for advertising purposes. Oh, and bring your laptops. People can’t know about us if we don’t tell them about our group! Thanks to my publisher, CrossRiver Media Group YouTube and social networking is no longer my enemy! I will need a head count for the pizza and bring a dish if you like (not required). Be prepared, I still have my Christmas trees up! Hope you can make this fun event! You can e-mail me at CatherineUlrichBrakefield@yahoo.com or call me at 248 628-4415.